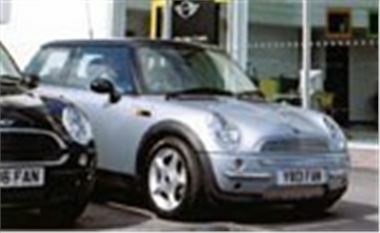 Apart from the three that got burned out in the Bradford riots last weekend, the new MINI has been a sell-out. BMW has issued a press release stating that none will be delivered before October. And Quentin Willson's column in The Daily Mirror on Friday told us that orders for MINI Coopers are so high that fresh orders cannot be met until 2002. This will inevitably mean speculation. Many of last Saturday's orders will have been made by speculators hoping to turn a £2,000 - £3,000 profit on delivery. And, as I predicted on LBC Radio last Saturday, the car is such a hugely wanted little number, they'll probably get it. Not only that, it appears to be difficult to buy a MINI One without various option packs which inevitably jack the price up way past the list price of £10,300. So though BMW honourably came in with sensible list prices, it wouldn't surprise me in the least if the huge surfeit of supply over demand forced up the list prices of these cars within the next few months. It could be that even the speculators will be caught out by this.